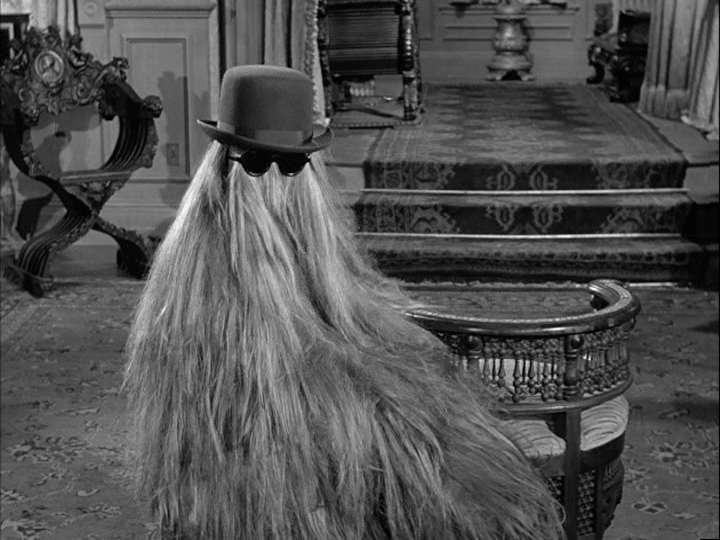 Cousin It moved into my brain today when I read Jay Nordlinger’s extended rumination on pronoun insanity at America’s institutions of “higher” education. (And why, precisely, are we sending our children to be indoctrina… er, “educated” at places in which everyone is quite obviously too high to function normally?) You remember Cousin It, don’t you? A part of the extended Addams Family, Cousin It was a chattering, gender indeterminate mound of hair. Obviously, she thinks that “their” goes with “student” — which is very modern. She had some advice for teachers. “In the first weeks of classes, instead of calling roll, ask everyone to provide their name and pronouns. This ensures you are not singling out transgender or non-binary students.” She also recommended that, at events where name tags are used, pronouns be printed beside names. A preferred gender pronoun is a consciously chosen set of pronouns that allow a person to accurately represent their gender identity in a way that is comfortable for them. For example, a trans* person may begin using a gender-neutral pronoun prior to transitioning, and a gendered pronoun afterwards, or an agender, bigender or third-gender person may choose to use a neutral or invented pronoun. Maybe fogeys have said this for millennia, but it’s not merely that I don’t quite understand the culture, I don’t even understand the language. That asterisk after “trans,” incidentally, does not lead to a footnote. That’s the way the word is spelled. “Strict gender binary”? I have a feeling that this means men and women. I also have the feeling that it’s not strict enough. Cornell has some recommendations for “normalizing” the exchange of PGPs. In other words, you give yours, I give mine. This ought to be normalized. Sorry, my dear friends among the consciousness raising warriors on the Left, but it’s just too much to ask of me (a) to remember all those new pronouns (I always was bad at learning new languages) and (b) to know on any given day what pronoun a specific person felt applied upon awakening (and yes, you, the speaker, are supposed to know).